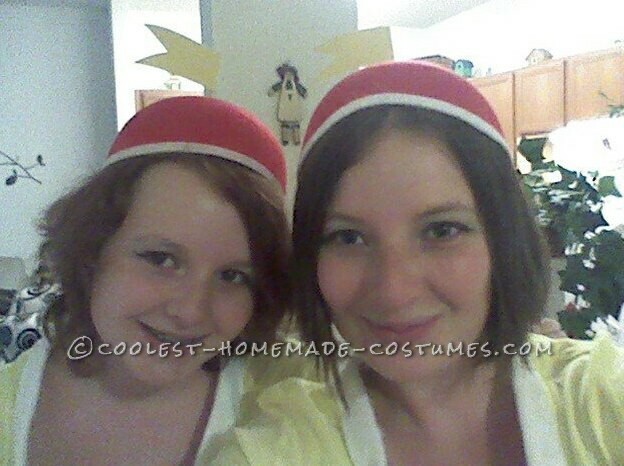 Originally my sister and I weren’t planning on dressing up at all this year since we had just moved and free time was very scarce, but as the day got closer we decided that we could at least dress up in a very simple costume. 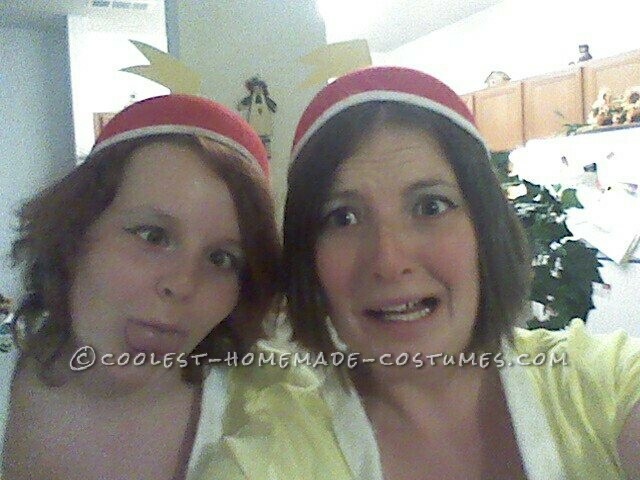 Being as we always dress in “couple costumes” we decided on the iconic Dweedle Dee and Dweedle Dum costume. I have always been more of the crafter out of the two of us, so it fell on my to do all of the sewing, hot gluing, etc. and she was in charge of buying the materials and what-not. Since it was last minute it was a little rushed, so I tried to do the simplest thing imaginable like buying the red silk skirts and sewing the tulle layers on and after the skirts were done that is were we ran into difficulties. It seemed that somehow in the move my sewing machine was damaged so when I went to start on the shirts I couldn’t even get a stitch so I decided to work with a hot glue gun. 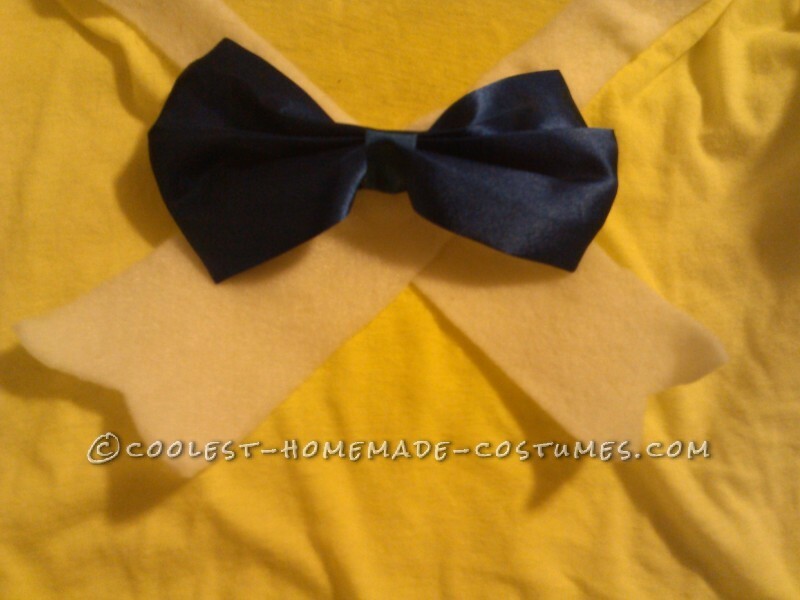 What I ended up doing was hot gluing the white collars onto a simple yellow shirt and when I had that all lined up I went back and glued on the bow ties, because bow ties are cool. 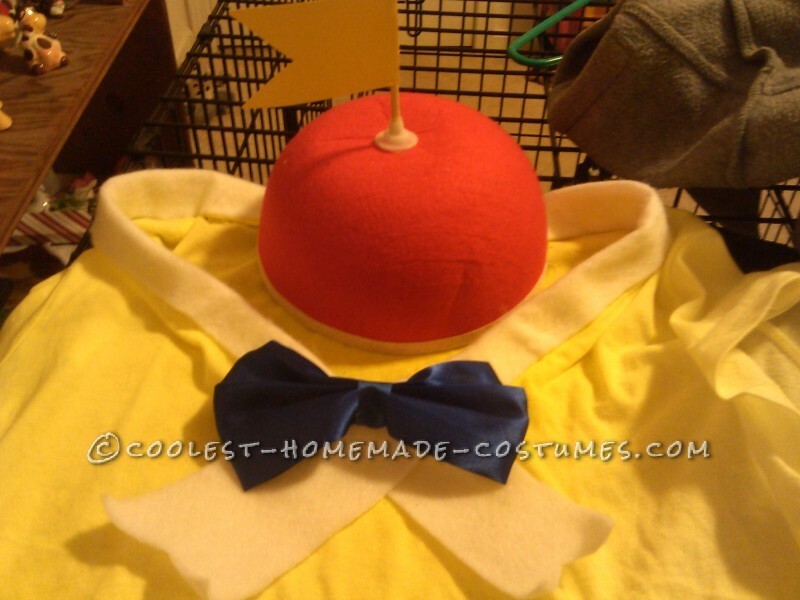 I think that hardest part of these costumes would have to be the hat, so of course I procrastinated until the day of Halloween to actually sit down and do them. I bought the red propeller hats at the store and ended up cutting off of the propellers and using some of the propeller parts to back the bade of the flags. 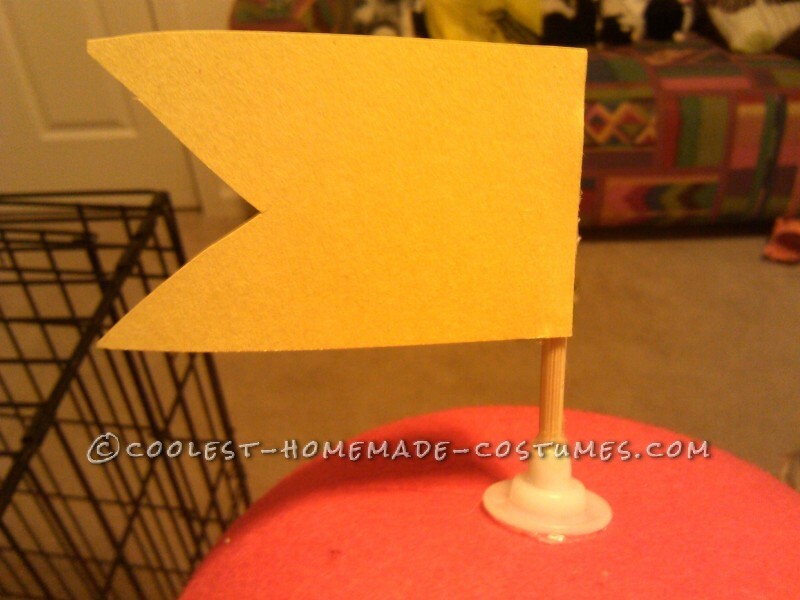 To make the actually flags I cut a shish kabob stick in half and cut the flag shape out of a bit of construction paper after that was done I glued the construction paper to the end of the stick, I did this twice of course, then I glued the finished piece back onto the hat and was finished literally right before we were leaving. We chose to go to the local Boo at the Zoo here in Colorado Springs, it was quick and easy and a new experience. 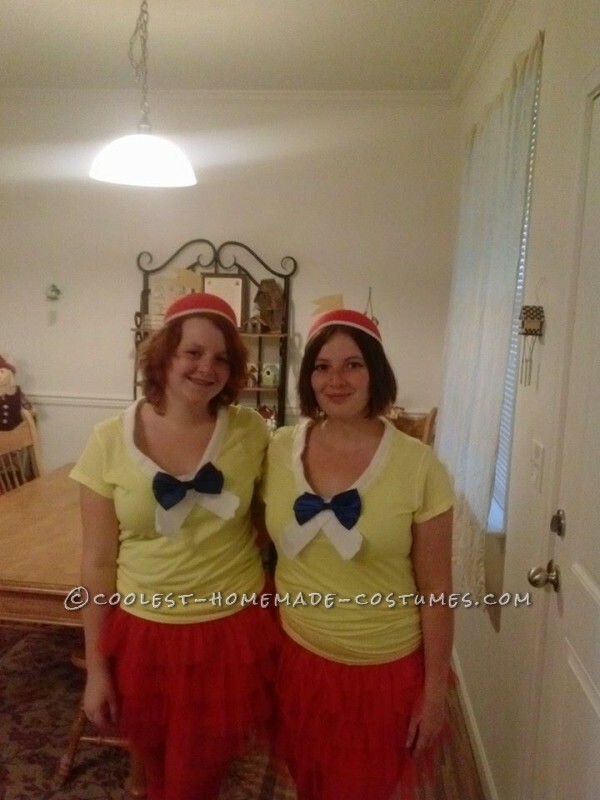 This is only the second time we made our costumes (last year we went as Columbia and Magenta from Rocky Horror Picture Show) so we were a bit nervous especially since we only spent a total of three day on these costumes. It was a lot of fun and we got a lot of compliments mostly from adults, I think because we chose the more classic Disney ones and this generation of kids our more familiar with the Tim Burton reboot of the characters, but that didn’t stop of from winning the costume contest for most creative costume. 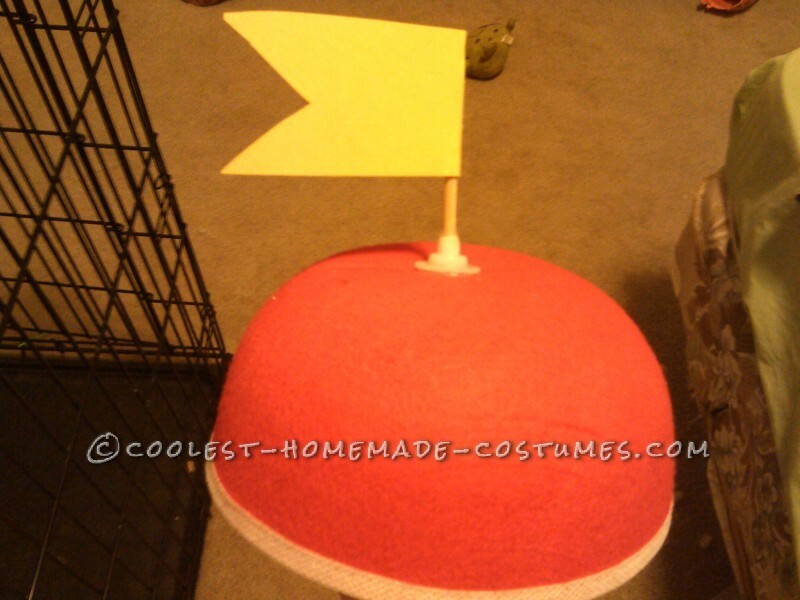 So all in all it turned out to be a blast even though I would have liked to have been able to sew more pieces on and make it more presentable and I think we started a new Halloween tradition in making Halloween Costume.